Are you looking for a career where you can grow in Sales, Logistics and Supply Chain? LEARNING, DEVELOPMENT & CULTURE: We offer training to prepare you for success! Our organization culture is positive, and we encourage teamwork, growth and innovation. 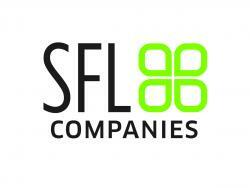 SFL Companies is a full-service supply chain management and logistics firm focused on technology driven freight management. Our transportation management software platform has revolutionized the way freight is managed by providing real time visibility. SFL Companies partners with shippers, growers, farmers, and manufacturers as an extension of their transportation and supply chain management team to provide individualized service and unmatched industry standards. Although SFL Companies specializes in shipping fresh produce and refrigerated goods, our diverse portfolio is comprised of many facets from dry food goods, paper products, automotive parts, packing and building materials, to floral products. Our asset arm, SFL Express, also provides dependable transportation solutions in contract-focused partnerships.